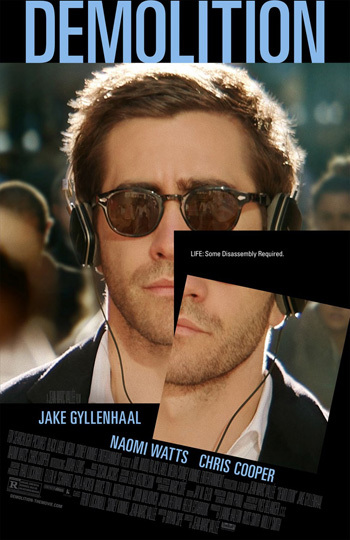 Jake Gyllenhaal, Chris Cooper and Naomi Watts star in the drama Demolition, directed by Jean-Marc Vallée (Wild, Dallas Buyers Club). Watch the movie trailer below. A successful investment banker struggles after losing his wife in a tragic car crash. ‘Demolition’ is selected as the opening-night film for the 2015 Toronto International Film Festival (TIFF). MPAA Rating: R for language, some sexual references, drug use and disturbing behavior.